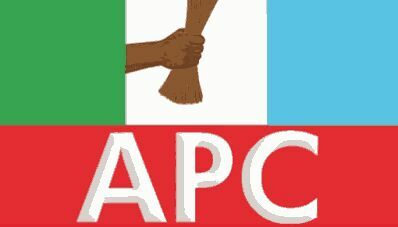 The attention of Kwara State chapter of the All Progressives Congress (APC) has been drawn to a purported letter of withdrawal of the appointments of our members on the convention committee. The document was not only criminally forged but came out of the usual venue where criminality had been allegedly fingered in the recent past. The Secretary of the convention committee, a Senior Lawyer denied issuing such letter; therefore the matter has been appropriately reported at the relevant quarters. We are aware that the appointment was one that hit the oligarchists and marauders below the loins, since we made it public. In the meantime, it is expected that such letters should go to the concerned individuals, through same avenue that gave them the original letter. How did the original copies (of the fake letters) get to the purveyors on social media? The criminal minded men failed to come to terms with the fact that criminality and its attendant consequences can never be sacrificed for politics. We want to assure our members that the gentlemen representing Kwara on those committees have resumed for work in Abuja since yesterday. Please, be assured that the onerous task of ridding the state of criminals of all brand will be gradual because they have for long been pampered by the constituted authority.